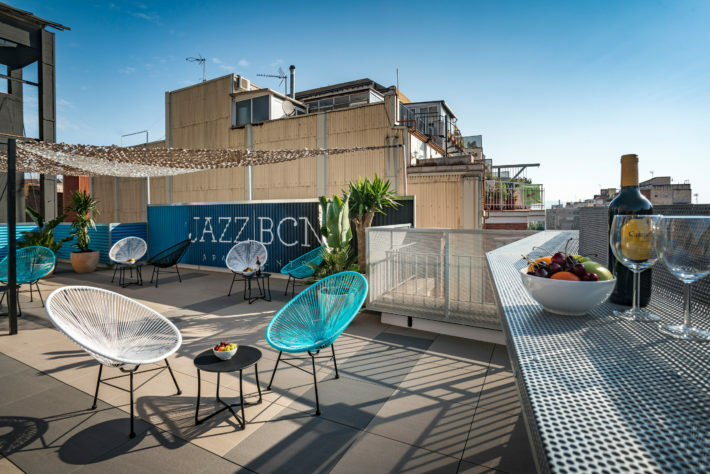 The rooftop terrace has been opened for all guests in Jazz BCN Apartments since July 2018. Recently, we have renovated the roof on Jazz BCN buildings. To specify, guests staying in Cool Jazz and Hot Jazz apartments now can exclusively access to the roof terrace located in each building. Table and chair are set in jazz theme, with a work art wall implemented by one of the most favorited artists in Barcelona – Adria Bosch. During the day, the rooftop terrace is just an ideal spot for refreshment and enjoy the nice weather in a romantic jazz scene. By night, it offers a pleasant and relaxed atmosphere for everyone. Take the advantage of this hidden jazzy gem and unlock city view from above. Jazz Terrace is open from 10.00 to 21.00 during summer (April 1 to October 31) and from 10.00 to 18.00 during Winter (November 1 to March 31). For other terrace use rules, please visit here. 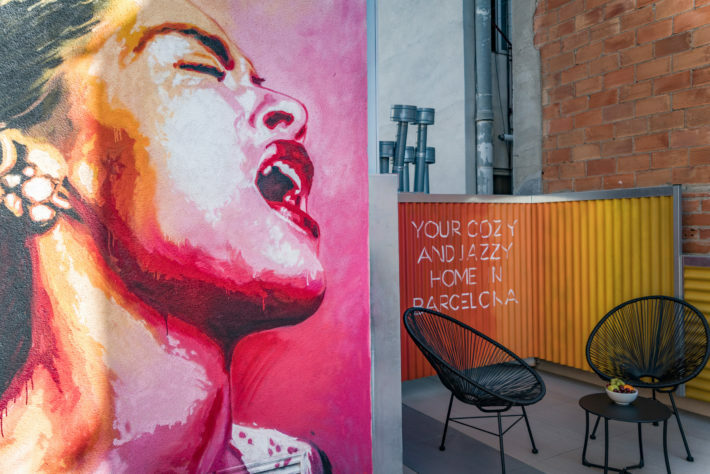 We hope this little jazzy touch will comfort your stay in Jazz BCN Apartments.